The boss of the New York garbage collection racket—picking up trash at exorbitant rates or not at all—Jimmy "Jerome" Squillante, was considered a vicious killer. 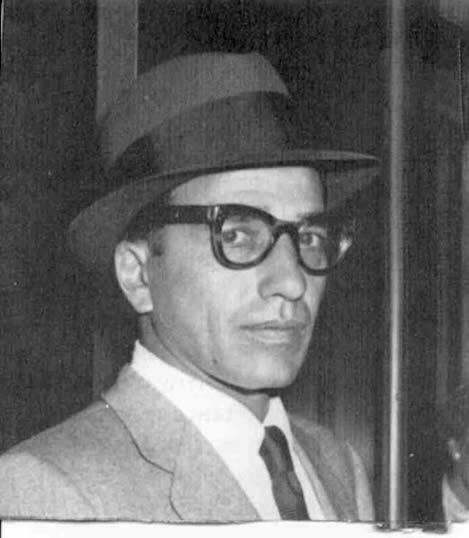 Informer Joe Valachi named Squillante as one of the gunners who murdered Frank "Don Cheech" Scalise, underboss to Albert Anastasia, on June 17, 1957. Scalise, one of the most important allies of Lucky Luciano since bootlegging days, was picking out some fruit at a favorite fruit stand in the Bronx. Squillante and another gunman walked up behind him and put four bullets into his neck and the back of his head. Ironically, according to Valachi, Squillante had been sponsored some years earlier for Mafia or Cosa Nostra membership by Scalise. After Cheech's death, his brother Joe Scalise publicly vowed vengeance. Joe undoubtedly thought Albert Anastasia would back him, but the latter remained oddly quiet, and Joe, nowhere near the menace that his brother had been, lapsed into silence and disappeared from sight. After a couple of months, however, Joe Scalise got word that all was forgiven, and he returned to his favorite haunts. According to Valachi, Joe made the mistake of accepting an invitation to a party at Squillante's home on September 7 where he was fallen upon by celebrants armed with butcher knives. Squillante personally cut Joe's throat. The body was cut up into disposable sections and hauled off by one of Squillante's trash trucks. Squillante himself only survived the Scalises by three years. He was indicted on extortion charges and vanished. Apparently, the word went, it was decided that Squillante was not the sort who could stand the pressure of trial and prison. He was "put out of his misery." Squillante's corpse was not carted away in one of his own vehicles. Instead, after he had been dispatched with a bullet in the brain, he was loaded into the trunk of a car, and the car was put through a crusher that brought it down to a compact scrap cube ready for melting in a blast furnace.